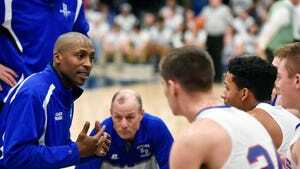 The Spring Grove boys' basketball team entered this week with one specific goal: Finish 2-1 against a tough schedule of Northeastern, Middletown and Dallastown. While the Rockets didn't get off to a good start by dropping Tuesday's contest to Northeastern, they still completed their mission. Spring Grove earned a hard-fought, 70-59 win against Dallastown on Friday for its second straight win. The Rockets (7-3, 4-2 YAIAA Division I) beat Middletown by two points on Wednesday. Even with the regular season just approaching the halfway point, Friday's win was still an important one for Spring Grove. The Rockets entered the contest tied with Dallastown for second place in Division I, and the victory gave them some breathing room in a very competitive division. "It shows that we're not a one-trick pony," star senior Eli Brooks said. "Everybody thinks that it's just me but we have a lot of key players that are filled with skill." For anyone that thought Spring Grove was a one-man team, Friday's win proved otherwise. While Brooks put up 30 points, 12 rebounds and seven assists, the Rockets got points from seven players. Drew Gordon collected 11 points and Jon Sager chipped in with 10. It was the second straight double-digit performance for Gordon, who scored 16 against Middletown. While last season's sixth man struggled to step into a more prominent role earlier this season, Gordon has been getting his shot to fall more consistently this week. "Drew is a really smart kid who plays a lot of basketball, he just had to know that he was the second guy in the car," head coach James Brooks said. "He thought he was riding in the trunk with everybody else. He finally took a seat up front and that's good for us." Spring Grove's supporting cast might have put on key performances Friday, but once again Brooks was the star of the show, playing the entire game in the middle of the action. Despite the huge load that has been placed on the senior's shoulders, he and his father aren't worried about him getting overworked. 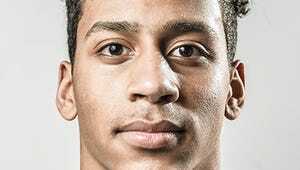 Brooks has become accustomed to carrying teams for most of his high school career. While he's taken on even more responsibility with defense and rebounding this season, the Michigan commit said he's okay with the burden. "It's a good test now because I'm going to see freak athletes next year," Eli Brooks said. "I just have to keep in the mindset that I have to score the ball. Because if I score everyone else gets open." Added James Brooks: "We have great facilities here, we go through all the precautions we can do. And you only go through high school one time." Six games into their divisional schedule, the Rockets have become aware that Division I is just as loaded as many thought at the beginning of the season. While there has been considerable hype and attention for nearly every game, the Rockets are trying not to get too high or too low after a contest. They know there is still much for every team to prove. "We're going to play Northeastern again," James Brooks said. "I think this is what everybody wants to see. If we can pack this place playing against Dallastown, it's going to be an exciting thing when Northeastern plays us again."